I shall be returning to this blog to add more details of corruption pertaining to EUkip, its elected representatives, staff, criminality, dishonesty, associations and lies. I will remove this tag once the list here is completed and will probably copy it with a new number at a future date before starting another similar listing – we may find it becomes neccessary to make separate blogs for individuals as we have with Marta Andreassen & Nigel Farage so far. OLAF AGAIN – OF/2009/0487 – NOT JUST NUMBERS & NOT JUST OLAF! If you wish to know more about OLAF, information is readily available. via our freephone for information of interest to the Office. • corruption and other serious misconduct on the part of members or staff of European institutions. …unless the alleged misconduct has a financial impact on the European Community budget. In all other cases, please contact your local police. It is not that EUkip is worse than any other political party it is that it is more dishonest. Do not forget that it can clearly be shown that EUkip’s ONLY real claim to the support of a single solitary voter has been that they were going to be different. EUkip was not only elected to work to get Britain out of the EU – a task they have spectacularly failed to achieve or even show any signs of taking much interest in. We need more corrupt politicians like we need a hole in the head! EUkip promised to expose the corruption in the EU – I guess they have but surely the electorate did not expect them to expose it by joining in and being just as corrupt. When one poses as Caesars’s wife and is chosen by the people to ‘clean up’ the Senate it ill becomes one to be caught turning tricks behind the marble pillars within minutes of ones arrival. Do not forget that Nigel Farage & Jeffrey Titford first fell foul of OLAF stealing tax payers money for their own uses and were forced to return money to the EU Payments Office very early on in their association with the EU. As I recall they returned £11,000 they had perloined – yet that has never stopped them claiming they gave Steve Thoburn & Neil Herron as The Metric Martyrs £11,000. It isn’t just the big lies it is the way EUkip has so glibbly lied at almost every level. We are already up to #538 postings in this series of CaterpillarsAndButterflies Blogs each with details of a failure or dishonesty of EUkip. I do not for a moment claim that The LibLabCon are any better but it was to expose their corruption and to lead EUkip out of the EU, using amongst other levers and tools to get us out of the EU the EU’s very corruption and the dishonesty of its staff and supporters. So far in trying to expose those turning tricks behind the marble pillars I have posted pictures of 27 EUkip officials who have fallen foul of the law, enquiries or their moral obligations in terms of the aims of being different and exposing the corruption of the EU & its members and staff. Clearly not only will details be added but so also will other people embroilled in this sordid behaviour. You can also read the full transcript of the Judgement against her in her appeal against dismissal from her job as one of the EU’s accountants seemingly clarifies that she failed to do the job she was paid for and having failed to provide the report she was commissioned to produce identifying loopholes and opportunities for fraud and suggestions as to how to improve the system with recommendations – a report it seems that she failed to produce or was incompetent to produce thus the much claimed ‘whistle blowing’ which seems to have no ground in fact but I have provided the entire transcript and suggest you read the facts rather than hers or Farage’s seemingly delusional misrepresentation CLICK HERE and then draw your own conclusions. Anyone with transcripts of earlier cases against this woman is welcome to send them to me and I will try to publish them to show the truth in full. This also includes the case regarding her dismissal from The OECD and suspension without salary for 15 to 18 months over ‘accounting irregularities’ and allegations of racism. Styles himself from time to time as David Campbell Bannerman, with or without a hyphen, seemingly with fraudulent intent, claiming to be a descendent of Sir Henry Campbell Bannerman a little known Liberal Prime Minister whose greatest claim to fame iss that he is the ONLY PM ever to die in #10 Downing Street. David Bannerman is clearly a liar and a cheat and has subsequently changed his claims of relationship on almost every occasion though his only certain claim seems to be that his claimed Father it is claimed owns Sir H.C-B’s. 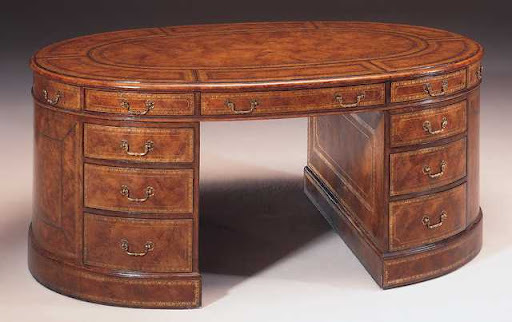 desk! They do claim it is a wise man who knows his Father and his birth claimed to have been in India would seem not to have attribution until long after the claimed or legal date! Largely responsible with Stuart Gulleford, Jeffrey Titford, George Curtis, Paul Nuttall and others in corrupting the thoroughly dishonest selection scam for MEP candidates in The Eastern Region. Proof was provided to the dishonest & untrustworthy Christopher Gill that Bannerman had used bribery during the selection process as well as lies as to his identity – he had we are assured promised Peter Reeve & the olleagenous Stuart Gulleford employment if they aided in the corruption of the selection process. This would seem to have been further proven by the employments subsequent to the election! Quit as an MEP before his term was up, no longer demeaning EUkip he handed over to Trevor Colman as long as Colman continued paying certain of his corrupt staff. Booth now finds himself under investigation by OLAF #OF/2009/0487 this is I understand on misuse of tax payers’ money in terms of allowances and employment. there is no inference that it was regarding his arrangements in terms of accomodation when at the EU’s toy parliament. An odious and dishonest individual with a propensity for uncalled for and inappropriate obscenity. Derek Clarke gave an undertaking in 2004 prior to the election to Ian Gillman No. 2 on the list that if he permitted Kilroy Silk to join the list at No. 2 he would personally stand down within a year as he was far too old to do the job for longer. Derek Clarke is a liar. Derek Clarke attended a public meeting as a EUkip MEP and boasted to the audience as to how easily he was able to defraud the EU and how he was doing so! Derek Clarke also, on the instruction of Nigel Farage signed a concordance with Romania seeking GREATER Subsidiarity for Britain to The EU and undertaking to work WITH the EU to strengthen its committees and control over Britain. 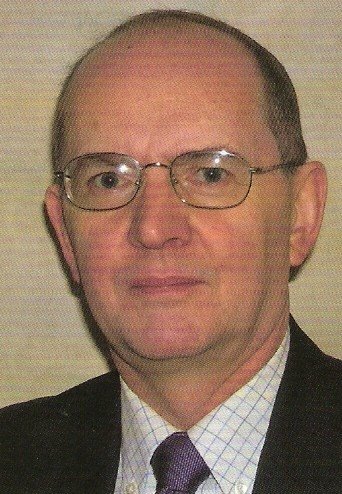 This dishonest and treacherous geriatric who has we understand fallen foul of OLAF based upon abuse of tax payers’ money – related to his using public money to fund Andrew Fear, Niall Warry (there is no implication that either of them were aware of any abuse). Also we understand that Clarke used money from Ashford to fund Tony Ellwood who worked for him. There is some reason to believe that staff of Clarke’s with or without his approval made criminal false allegations regarding Tony, made anonimouisly and leading to a gross and irresponsible over reaction by the police. There are also claims that Ron Ransome another of Clarke’s staff malliciously distributed a malware computer virus – a matter currently under investigation by the police. Responsible for one of the more dishonest cover-ups of the criminality of Tom Wise & Lindsay Jenkins as charged. 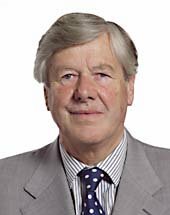 Trevor Colman permitted himself to have his status as a retired senior police officer abused by Roger Knapman and others, for which it looks as if he was rewarded by the retirement of Graham Booth and his own coronation as an MEP. We understand another condition of taking over from Graham Booth was that Trevor Colman continued to employ staff of Booth’s, who were known to be liars, cheats and corrupt such as Malcolm Wood. Openly declared supporter of the pro EU extremist and criminally led SEARCHLIGHT both in terms of passing details of EUkip members to Searchlight (by written admission) and boasts of moral abuse of the legal system to raise funds for this pro EU organisation. Understood to be under investigation on several counts, both as Chairman of the pro EU Ind.Dem.Group & in his own right as an MEP. His solicitors Carter Ruck were forced to write and appologise to The Sunday Times over allegations they had lied about his being under investigation! Employs his wife with public money having campaigned on the grounds that he would NOT employ family members and also issued an edict that no MEP should employ family! Farage’s dishonesty and hypocracy on this issue was unequivocally exposed by The Sunday Times showing that at that time she was paid £25Kpa which is understood to have risen to above £30Kpa, although his office staff had no idea what work she did nor that she even pretended to work for EUkip! Personally responsible for a great deal of damage to the credibility of EUkip and particularly Nigel Farage. A liar and corrupt with a disregard for honesty, integrity and the well being of EUkip or its members openly breached trust and used privy information, bringing EUkip into disrepute in abuse of confidentiality and data protection. There was a Police enquiry and a judgement by the ICO under The Data Protection Act OF/08427, which led to a serious censure of EUkip as published in this Blog elsewhere & made public through a breech of trust by Mark Croucher. Annabelle Fuller not content to lie to the media and forcing Farage to corroborate her lies and subsequently telling implausible lies about a pretend lost laptop leading to the resignation of John Wittacker as Chairman any yet more dishonesty from Farage. Speech writter for Nigel Farage at times, employed as a researcher by Tom WISE MEP EUkip. Speaker at EUkip Conference Bristol 2004. Under arrest, currently on Court Bail from Westminster Magistrates Court, Horseferry Road to appear at a time to be advised at Southwark Court facing multiple charges roughly speaking fraud, embezzling, money laundering and false accounting. Previous to involvement with EUkip was an active participant candidate and NEC member of Dennis Delderfield’s right wing and some would say racist and extreme New Britain Party. Since being a EUkip MEP has supported the corruption of Tom Wise, unacceptably abused and attacked his Chairman undermining EUkip immediately prior to a National Conference. Has been taken to Industrial Tribunal by his Regional Organiser and the appeal is I understand ongoing. Thoroughly dishonest and not content with being parachuted in unelected as Farage’s puppet and bully boy, emulating the worste stereotypes of The BNP. Nuttall was happy to collude in the dishonest removal of Gregg Beaman elected as number one candidate so that he could be parachuted in for the election. Has shown himself to be dishonest and an incompetent chairman with little control of his temper or the NEC. 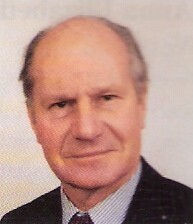 Clive Page was recruited and brought an element of competence and professionalism to what was an ill disciplined and largely incompetent organisation without any respect from the media that had done much to damage the reputation after a series of infiltrations and the lies and dishonesty of the previous press staff. Unfortunately Clive was not without his own baggage bringing a criminal record to the job. Clive had relatively recently been found guilty of benefit fraud which made life difficult for him but EUkip with its usual double standards employed him, despite it being known that he had a criminal record – whereas Ashley Mote was persecuted by Farage and his followers whilst on remand for an offence many years before his involvement with EUkip. CF0669431208 Police investigation number for assault an Official Complaint was made which was witnessed in two separate witness statements to the police. In that no physical damage was done no further action was taken. Ron RANSOME Taxi Driver, EUkip Regional Organiser Eastern Region. 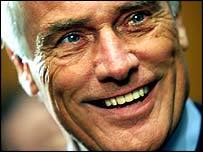 Currently subject of a police enquiry under allegations of malliciously and deliberately promulgating a computer virus as claimed by Ian Gillman – formerly EUkip NEC member, candidate for leadership and selected number 2 on Eastern Region list in the interest of the Party stood aside for Robert Kilroy Silk to be parachuted in based on lies from Nigel Farage. I have been asked to make it clear that despite the St. George’s Cross on display this is neither a National Front or BNP meeting but strangely a EUkip venue, despite their claim to be a party for these United Kingdoms, this East Midlands meeting uses this symbolism! 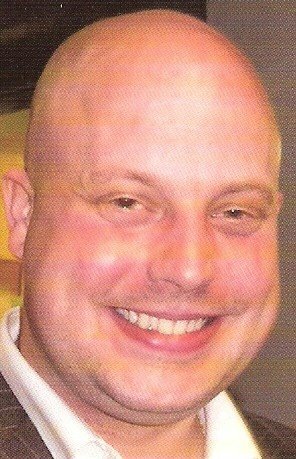 Andrew SMITH EUkip MEP Candidate, Tom Wise’s Unelected Chairman Eastern Region Committee, Past EUkip Treasurer. Utterly incompetent as Treasurer, left the accounts in shambolic turmoil without notice unable to answer some 28 basic questions regarding the accounts. Treasurer who deliberately set out to break electoral law, leading with the dishonesty of Nigel farage, David Lott and others to a guilty verdict in the Courts which has not yet been settled but is likely to lead to the forfeiture of some £350,000+ and costs of between 2 & 400,000 through the Courts later this year. Not to mention his treasurership leading to fines for failures of accounting. Andrew Smith also unarguably colluded in corruption in the selection process for the prospective MEP list. Previous to involvement with EUkip was an active participant in the right wing and some would say racist and extreme New Britain Party. There are open allegations that Glenn was a member of The National Front and that the BNP have a copy of his hand written resignation letter when he joined HM Forces some years ago (my guessover 20 years ago in his teens). I have no knowledge of the veracity of this and would suggest that he issues an unequivocal denunciation of The NF before Farage or Croucher decide to fantasise on the matter thus raising the profile of the NF & BNP as they did with their dishonest claims before the EU election which so helped The BNP that EUkip and particularly Farage and his clique can reasonably be attributed to have aided the BNP sufficiently to have 2 BNP MEPs elected. Even with a track record of denunciation of the NF &/or BNP that will not be sufficient to ensure Glenn is not victimised and lied about by Farage, Croucher and Croucher’s corrupt, dishonest and extreme pro EU associates in Searchlight and similar fascist type organisations. Glenn should be made aware of the fact that whether true or false will matter little to EUkip’s leadership who have an indisputable track record of mallicious dishonesty. EUkip are no recognisers of legal time limits or details when they opt for a witch hunt. We note that as a qualified lawyer & the Party Secretary he has not only a very imature inability to control his temper and a particularly fascist style for control of other people’s opinions! he has also made something of a fool of himself and EUkip with some of his amateur and crass sabre rattling. I understand Zucherman is somewhat centre stage in the matter of The Data Protection Act under enquiry No. RFA0221840 pertaining to his offences under Section 7 of the Act. There are other articles on this blog site pertaining to Zucherman providing greater details of his dishonesty and also his involvement in corruption and witness intimidation. E&OE this entry is incomplete and subject to correction and additional clarification. Musings on ELECTIONS & SPEAKERS – Berks & Bercow! 24 days, a farcical EU election based on the collapse of reason and the huge achievement of EUkip in raising the shiboleth of BNP MEPs whilst even capitalising on the abject political failure of the LibLabCon only increasing their share of the vote by 0.30% but due to political collapse of the 2.1/2 main political parties EUkip risibly obtained 10 unearned MEPs over and above the possible 3 they would have had, had it not been for the expenses/allowances furore in the HoC and the resultant panic by the media when they realised they had opened the door for the BNP to capitalise on the huge efforts made by EUkip’s leadership to promote awareness of the BNP. EUkip leadership even managed to befoul its own nest, not only with its farcical selection process but also with its association with the extremist fascist political groups like Searchlight and UAF or whatever who seek to control and bully society into a pro EU multiculti slurry of Fabianesque, Common Purpose, Communism et al. Meanwhile throughout we have a member of the EUkip inner sanctum together with the leader and others openly promoting lies and dishonesty to gain votes by deception and one of their number going as far as to seek to abuse the Court process to raise money for the pro EU Searchlight with its criminal associations! Throughout the media were serving the people of Britain ill by failing to honestly clarify the secondary allowances debacle whilst conducting something of a witch hunt to promote circulation. Sadly YOU & I are the losers as it is OUR parliament which is being so evilly denigrated and further debased, which of course suits the scum that have risen to control for and on behalf of The New World Order slime that are The EU and its masters. UK Independence Party 82 a mere 5.1% more in keeping with reality than the % lent them for the EU election where you note they had an insignificant gain when all was in their favour and their local elections were risible as ever. Yet another nail in the coffin of our democracy was perpetrated with the farce of annointing John Bercow as Speaker. I have said much on the subject but perhaps you would care to remind yourself of my comments of May 31st. prior to readoing the comments of a correspondent of mine on Bercow – a correspondent with whom I agree. Squander it on a gift of stolen money for your daughter. or building an extension and having a romp in the Hay. had the honour to drown himself in the moat! being colluded in by corrupt MEPs – YES every single one of them is guilty. To steal tax payers’ money whether to promote or denigrate The EU is immaterial. There is no such thing as GOOD corruption! But for their conspiracy to collude to defraud HMR&C. MPs and MEPs are not above the law. encouragement of the meeeja, The Telegraph and the irresponsible like Guido. or face Public Executions at the hand of the Lynch Mob YOU have sanctioned! Nadine Dorries has said this morning that only three Conservatives voted for him. With respect, Nadine, that isn’t the point. Bercow was caught red-handed over his second ‘home’ capital gains tax. He’s as tainted as the rest, and in any other place than the un-world of Parliament would be facing prison (and repaying some of it isn’t the point either, Mr. Bercow). I very much hope he is strongly opposed at the election and beaten at the ballot box. He doesn’t deserve anyone’s vote, let alone to become Speaker. But there’s yet a still more worrying issue: we need to clean up Parliament, not neuter it. It may seem a small point, but MPs should be masters of their house, not subject to the civil service. Any removal of Commons authority, such as telling MPs how they may manage themselves, takes sovereignty away from the people and puts it in the hands of shadowy people behind the scenes. Will the new expenses authority be elected? Will they stand on hustings and subject themselves to scrutiny? There should be full transparency about the financial affairs of parliament, most certainly, but not an abrogation of responsibility! The fix for this mess is to put good men in parliament, for which you don’t need PR, but attention paid by us the electorate to the CHARACTER of the individuals we’re asked to vote for. Bercow’s track record is not that of a reformer but an opportunist, no matter what he’s now claiming. It’s not his political position that worries me, it’s that expenses claim, as it reveals what’s really in his heart. We should be restoring parliament to what it ought to be — the place where our best people make our laws — not turning it into some sort of living museum. Bercow is as suitable for this task as Arthur Daley. Ms Dorries believed that it was only 3 Tories who voted for Bercow but Nick Robinson as ever authoritarian claimed it was 4 on the today programme – Personally I am surprised it was so few as I would have thought that more would have wanted to be rid of the poisinous and duplicitous little dwarf, with his ever roving eye for the main chance as he curried favour with all who could advance his career by the expedient of selling out his friend and his principle as I doubt he had more than one of either at any one time! I am surprised he was not more closely associated with Farage as they have so much in common – yet he like Ganley saw through Farage rather quicker than Farage might have hoped. Nadine Dorries shows she has much to offer Parliament on a day when she is clearly in the pink! Providing much in BedsOnSunday which is hardly surprising though I note Paul has moved to The NotW! Nicknamed Nads amongst her friends it is perhaps fortunate she did not take up tennis for the chanting on centre Court of Go Serina seems entirely more appropriate! 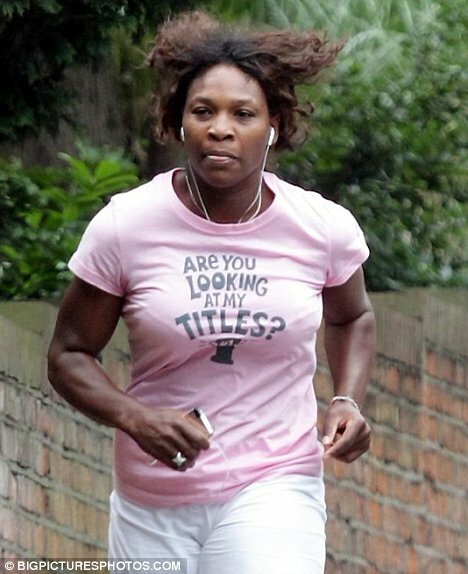 I have reason to believe the comment was made based upon belief, one with which I concurr, however I would fully understand if he made the posting because like Ms Williams of tennis fame she has impressive TITles, or so it stated on Ms. Williams’ T Shirt the day before yesterday – for those who do not know her Ms. Dorries is MP for Bedfordshire and was trained as a nurse thus bringing a certain forthright practicality to her job as an MP. c #536* – IF THE TREASURY ACCEPTS SHODDY ACCOUNTS …. WILL IT BE OK FOR TAX RETURNS TO BE INACCURATE TOO? One has to wonder just what the Labour luvvie Paul Myners now elevated to being a Treasury Lord for his business ‘accumen’ allegedly was celebrating prior to this written answer. Perhaps it was just a case of he realised he was not as stupid as he thought since those economic illiterates Darling Brown hadn’t a clue what they were talking about either! I for one find his reply to Malcolm Pearson to be little more than self serving drivel. I am NOT reasured that Her Majesty’s Government has the slightest clue what it is doing and if they honestly think Paul Myners is acquitting his duty no wonder the BBC saw fit to close crop the photo – the second head may explain the obfuscating double speak! The Financial Services Secretary to the Treasury (Lord Myners): The European Court of Auditors (ECA) has regularly given a positive statement of assurance on the reliability of the EC accounts. The UK Government are pleased that, for the first time, the ECA’s report on the 2007 EC Budget gives an unqualified positive statement of assurance on these accounts. It is disappointing that for the 14th year in succession the ECA was unable to give a positive opinion on the legality and regularity of the underlying transactions for the majority of EC Budget expenditure. Nevertheless, it is encouraging that the percentage of Budget expenditure that has been given a positive opinion has been increasing, currently 40 per cent, up from 35 per cent in 2005 and only 6 per cent in 2003. Under the treaty the Commission proposes draft legislation for the single market in financial services which applies to the City and financial institutions across Europe. You can find the original of this monumental drivel that clearly shows the incompetence of The Treasury and the dishonesty of The EU in Hansard. Presumably we can expect more such nonsense now that EUkip, having lied its way through its own procedures and duped Pearson into providing a cover for them, have one of the many EU Bean Counters ostensibly working for them for a while. The Argentinian born Marta Andreassen may well have strange and incompatible views on The Falklands, her residency in Spain may cloud her judgement regarding Gibraltar and the fact that it was essential to lie and cheat to be on the list is a mere detail. That Marta Andreassen was quite clearly sacked for incompetence and failure to provide the report she was hired to produce, or so the final Judgement of the Courts (To view the document CLICK HERE and draw your own conclusions) would seem when they upheld her dismissal – just as I gather occurred when The OECD suspended her without pay and included racism in their allegations. That aside as one of the many Bean Counters in The EU, albeit for a very short time, she will no doubt be able to dream up ever more questions to pay her way, until a better offer comes along I presume – based upon her track record I expect she will then try to sue EUkip or Malcolm Pearson! IS DISHONESTY THE MONKEY ON THEIR BACK or IS IT Die BOBBEJAAN en Die LESSENAAR! So UKIP is to contest the Norwich by-election on a platform of openness and transparency. 6. £1/4 Million paid into a private bank account seemingly undeclared. 7. Less than 15% of income reached EUkip the balance was seemingly trousered! 8. £1/4 Million of tax payers money seemingly trousered on the pretext of a petition that never took place. 9. A sum alleged to have been £850,000 gone missing in Gibraltar related to Timber Futures it is claimed. 10. Around £1/4 Million deposited into The Isle of Man in the name of ‘Farage Educational Trust’. 11. It is amusing to think that Farage tried to fool people over the election that he had only made a profit of about £2 Million himself. It would seem more like £3-5 Million. 12. £25-30K per annum paid to his wife for …. Despite promising no EUkip MEP would employ a family member. These were just a few of the scams that make the concept of EUkip standing on a ticket of Open ness and transparency for by-elec tions a total joke. Consider some more open ness and transparency – A complaint was lodged with the manager of the selection scam (the utterly dishonest and duplicitous Christopher Gill) in written form – on the grounds that the selection process was being dishonestly rigged and bribes issued by some of the lesser scum standing! In a spirit of openess it became apparent that the liar cheat and ex Tory failure David Bannerman was, in a spirit of open ness and willingness to act dishonestly, he offered Peter Reeve a job if he was selected and elected and we understand likewise the duplicitous and underhand Gollom. 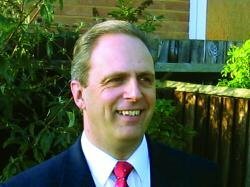 Interestingly in a spirit of transparency we note that the creepy David The Desk Bannerman having lied and cheated to get elected seemingly has also bribed his way to his present position and Chelmsford Office is to remain open – so that’s OK then Gollom gets to continue his lucrative income achieving little but division for EUkip and Reeve is to continue his BNP look and style with a new office in Cambridge – no doubt with his mistress on the payrole, so aptly named scruffy duffy. Such open ness and transparency of bribes is a matter of shame on a par with the abuse of tax payers and members money or expenses/allowances in the House of Commons. I wonder how transparent was the fact that EUkip had a celebration of its good fortune in having watched the LibLabCon throw votes in their direction and the media in its mendacity actively promoting EUkip to balance the publicity EUkip was giving The BNP which ended up giving The BNP two MEPs. To celebrate The Eastern region had the use of James carver’s house but in their generosity of spirit the two rascalls who duped their way in as MEPs the dubious Stuart Agnew and the liar and cheat David Bannerman were too mean to fund the victuals and those who attended were I understand expected to bring sandwiches! I wonder if the good burgers of Norwich will be told the truth or will EUkip continue peddling a pack of lies – dishonesty and corruption has clearly served them well in the recent election leaving even The BNP in their debt as Farage scurried off to try to cut a deal for a Peerage with Cameron we understand, of which he was boasting to Ganley! With such open ness and transparency one can at least be aware that if the one doesn’t stab you in the back the other will stand on your neck for preferrment! MY THANKS TO JUNIUS FOR SOME OF THE DATA! Nick GRIFFIN A PROFILE from The SUNDAY TIMES! 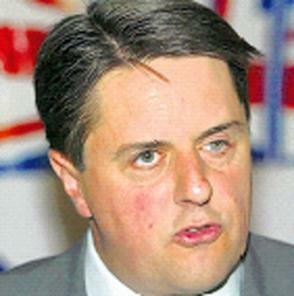 Nick Griffin’s wit may have helped him to become the most successful far-right leader Britain has ever produced. Among his drinking chums, the chairman of the British National party is apt to perform a hilarious party piece: he removes his glass eye and lays it on the table. It is curious behaviour that draws attention to a mysterious chapter in his shadowy past. Last weekend the BNP secured its biggest mainstream victory when Griffin became its second member to be elected to the European parliament, as MEP for the North West region. Hours earlier, Andrew Brons, another candidate, won a seat in Yorkshire and Humber. Griffin, convicted of inciting racial hatred in 1998, has called Britain “a multiracial hell-hole”, British Muslims “the most appalling, insufferable people to have to live with”, overt homosexuality “repulsive” and the Holocaust “the hoax of the 20th century”. Last week a pelting of eggs sent him scrambling for cover at his victory press conference. By Griffin’s account, he lost his left eye in an accident when a discarded bullet exploded in a pile of wood he was burning at his home in 1990. Others have speculated that the accident happened during “survivalist manoeuvres” – a version lent some credence because his wife, Jackie, was not informed until a week later. The timing is interesting: Griffin had just left the extremist National Front (NF) after an ideological spat and was living in France, where he had cashed in on the 1980s property boom after buying houses in Shropshire. Leading a disgruntled breakaway faction of the NF, he founded a new movement with one of the most notorious fascists in Europe. Griffin’s collaborator, Roberto Fiore, was wanted by police in Italy after the 1980 bombing of Bologna railway station, which left 85 people dead and 200 wounded. Fiore, leader of the far-right organisation Terza Posizione, was sentenced to 10 years’ imprisonment in his absence and had spent much of the decade lying low in Britain. In 1986 he and Griffin set up a lucrative business, later renamed Easy London, helping young students and workers to find accommodation and work in London. The profits went to fascist groups. The new political movement conceived by Griffin and Fiore had the arresting title of the International Third Position, with a racist agenda aimed at Jews, blacks and immigrants. Bizarrely, Griffin’s anti-Israel stance led him to make a fundraising trip to Libya at Colonel Muammar Gadaffi’s expense in 1988 (a few weeks before the Lockerbie bombing) and to laud Iran’s Ayatollah Khomeini, both of whom also shared Griffin’s antipathy to world capitalism, homosexuality and women’s rights. Griffin’s professed sympathy with Islam’s values was at odds with his subsequent denunciation of the religion as “a wicked and vicious faith”, for which he was tried for inciting racial hatred in 2006 and found not guilty. His pragmatic U-turn allowed him to exploit public fears by claiming in the recent European election that Asian Muslims were sexually grooming white girls. At any event, the loss of his eye changed his fortunes. The accident, he said, “knocked me out for a full year so I couldn’t finish the renovation work, interest rates went sky-high and I lost the whole lot”. He was declared bankrupt, owing £65,000, and dropped out of politics for a while. These days he lives at an isolated stone farmhouse in the Welsh hills, about 10 miles from Welshpool. The two-acre property is guarded by security cameras, burglar alarms and two rottweilers named – with gloating insensitivity – Anne and Frank, after one of the most renowned Jewish victims of Nazi Germany. Visiting members of the media, whom he amiably calls “lying scum”, tend to allow that Griffin is affable, funny and well read, as befits a Cambridge graduate. Only when fervour gets the better of him does spittle fleck his sharp suits and fashionable ties. His physical presence is unimpressive: of medium height, with a slight paunch accentuated by his bullet-proof jacket, he has dark brush-like hair and small, fleshy features. Jackie, a nurse who met Griffin while visiting her sister at Cambridge, may sometimes “hate the thought of being talked about as the wife of the BNP leader”, but by all accounts it is a happy marriage. She acts as Griffin’s assistant and a BNP administrator. They have four children, Jennifer, 23, Richard, 20, Rhiannon, 19, and Elen, 15, all Welsh speakers. Griffin is now characterised as the most dangerous political figure since Sir Oswald Mosley led the British Union of Fascists. However, the BNP’s support was lower than at the previous European election and its victories this time are attributed in part to the collapse of the Labour vote. Griffin’s limited success has been to rebrand the party, muting its blatantly racist ideology – “Adolf went a bit too far” – and making the BNP “user-friendly” by tapping into the fears of the white working class about Islamic fundamentalism, immigration and jobs. Griffin’s beliefs were instilled at an early age. His parents, Edwin and Jean, had met as Young Conservatives while heckling a Communist party meeting. Edwin, while serving in the RAF in India, had witnessed inter-racial violence during Partition, and returned home opposed to multiculturalism and immigration. He ran an electrical contracting business in Barnet, north London, where Griffin was born in 1959, but the business failed and the family moved to Suffolk. In 1974 Edwin, by now a Conservative councillor, was so dismayed by Britain’s leftward drift that he took his family to a National Front meeting in Norwich. Griffin, who had read Mein Kampf by the age of 13 and whose favourite game was “counting black people on the streets from the car window when my parents drove through London”, joined up soon afterwards. The guest speaker that day was Martin Webster, the National Front’s activities organiser. Webster, who was openly gay despite the party’s homophobic stance, claimed Griffin turned up on his doorstep the following year and they began a two-year affair. At Cambridge, where he studied history and law at Downing College, Griffin founded the Young National Front Students. A waiflike 8st loner, he was beaten up after an NF meeting and decided to learn to box. He became a boxing blue but graduated with a second-class degree, after which he spent a year on the dole. He began working for the NF, rising to its governing body and launching the magazine Nationalism Today. After Griffin’s “accident” his parents saved him from financial ruin by selling their house. For a while he was a security man at the meetings of David Irving, the Holocaust-denying historian – “I looked quite good in a black leather jacket and an eye patch”. Griffin later reproached Irving for conceding that 4m Jews may have been killed by the Nazis. 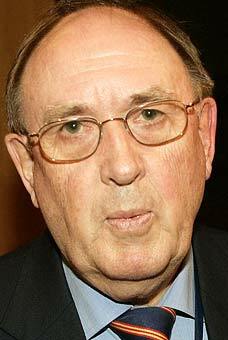 In 1995 Griffin relaunched his political career when John Tyndall, an avowed Nazi who had founded the BNP in 1982, invited him to join the party. 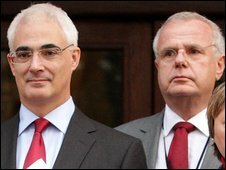 Griffin claimed he fell out with Tyndall over the latter’s policy on Muslims: “Because he hated Jews so much, he thought Muslims couldn’t be all that bad if they didn’t like Jews.” With majority support in the party, Griffin became BNP leader in 1999, ousting Tyndall in a bloodless coup. In a moment of candour, he admitted that the BNP’s hope lay in public despair: “The worse the mess, then the more one rubs one’s hands with glee.” In another unguarded lapse, he told a journalist: “Basically, it’s race hatred, isn’t it?” He dreams of an old England, when “serfdom had given way to huge numbers of people owning their own plot of land and having access to the village commons”. If Griffin’s BNP has a future, it will always be looking back to the past. Interestingly it will be noted that Griffin has castigated this article as a pack of lies which he requests his supporters to complain about to The PCC – however it would seem he has identified none of the so called ‘lies’. The one point about The BNP’s recent electoral achievement was the tremendous help received from EUkip and Farage & Croucher particularly, who could hardly manage two consecutive sentences without promoting awareness of TheBNP – organisations like Searchlight, UAF, Fabians, Common Purpose and other similar extremist pressure groups and parties have greatly helped TheBNP. 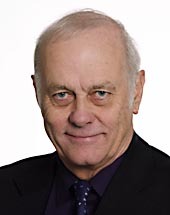 Most forms of fungus and corrosion thrive in darkness and the foetid secrecy of suppression – the death nell of TheBNP is in its present electoral achievement where as representatives of the people it MUST acquit its duty under the law since it now functions with public money performing a public function. 1) First off, in the printed version of the Sunday Times article on page 23, in large bold letters below the title, it says “That Adolf…he went a bit too far” – and falsely attributed this sickening quote to BNP Chairman Nick Griffin! Mr. Griffin has never used such words. We should make clear that it appears that the article is largely based on Dominic Carman, whom the article claims is “Nick Griffin’s biographer”. Dominic was contacted by Nick with a view to doing a biography, but within several days it became clear that Dominic was not to be trusted and therefore was never Mr. Griffin’s biographer on an official basis and no book was ever released with Mr. Griffin’s endorsement. 2) The Sunday Times claimed that Jackie Griffin did not know of Nick’s accident in which he lost his left eye until a week later. That is untrue, as it was just 2 days later through no fault of Mr. Griffins. 3) Nick did not lose his eye on any kind of “survivalist manoeuvres”, it was a live shotgun cartridge which had been discarded in rubbish on a open fire from a house clearance. 4) The Sunday Times claimed that the Italian Roberto Fiore was wanted by police and convicted of a bombing. The Sunday Times had left out that Roberto was cleared of all of those charges and listed as a innocent victim in the whole affair by the Italian authorities. 5) The paper claims that Nick was some kind of business partner to Roberto Fiore. Nick has never setup or been partners on any business venture with Roberto Fiore. 6) It is claimed that Nick has named his two dogs “Anne” and “Frank”. This is completely untrue and is sheer fantasy as his two dogs are called “Belle” and “Otto”, names given to them by their previous owner. 8) Nick was never known as “Nick The Prick” at school. It’s another Dominic Carman fantasy. 9) “Counting black people” from his parent’s car was never a game that Nick played, yet another lie. 10) Nick was never beaten up at a National Front meeting though his father was – the Sunday Times couldn’t even get the name of his father right; it’s Edgar not Edwin. 11) The article claims that Nick was a security man for David Irving’s meetings. He was for one meeting and that was it. 12) Nick did not “oust” John Tyndall in some kind of “bloodless coup” – he mounted a democratic leadership challenge and won. 13) The Sunday Times or one of their “sources” has even gone so far as to play word games, quoting Nick out of context with this gem: “In another unguarded lapse he told a journalist: ‘Basically it’s race hatred, isn’t it? '” Of course, what they don’t tell us is that Nick was talking about our opponent’s views and ideology. – we can can move on to the refusal of Griffin and TheBNP to either distance themselves from or denounce their roots in the vile and extremist White Supremacist movement of The USA – groups that institutionalised the ritual killing of some 4-5,000 individuals for entertainment and bonding of its members in their participation in the vile crimes based on race, colour and belief. I do not believe that there is EVER a morally acceptable contingency where a vote for The BNP is acceptable. A vote for The BNP may well be the lesser of two evils but I consider it a vote for evil on any occasion. NEVER FORGET that The BNP has failed/refused to repudiate its association with White Supremacist Extremists and the murder of some 4-5,000 mostly young men BECAUSE they are coloured – including an elected Black Mayor January 2008 & a Mexican American 2009. Similarly they have failed to renounce their past association with extreme anti Judaism. To VOTE BNP is to Vote for Evil. WHO GOVERNS BRITAIN – FREE BOOK by Nirj DEVA MEP! Who Governs Britain? Nirj Deva analyses, for the first time, preciously which powers have been moved from Westminster to Brussel, and the likely impact of further changes. There is a small icon of an envelope at the end of this Blog entry – all you have to do is click the Icon and you can mail upto 10 copies at a time, just fill in 10 ‘e’Mail addresses, separated by commas, into the box provided – you can also add a personal message to go with each ‘e’Mail. It is such a pity that in the 16 years since EKIP was founded it has never noticably produced a single pamphlet of stature to back its arguments. EUkip for all its huff, puff & childish Bluster hasn’t even drawn up a single document showing the benefits of leaving the EU, nor has it published any kind of Exit & Survival Plan for Britain. They fail to state the gains in leaving and bang on about how awfull it is and they have no idea what to do TO LEAVE let alone HOW to survive and benefit thereafter. Is it any wonder EUkip attracts such nuckle heads as leadership, such clowns as MEPs, such mindless sycophants as supporters and such liars to promote it! EUkip’s results in The EU elections were catastrophic – they were heading for about 3 MEPs due to incompetence, bad publicity, fraud and dishonesty – suddenly by virtue of repeatedly promoting The BNP and capitalising on the protest vote against Labour who were clearly perceived to be responsible for the corruption in Westminster EUkip gets another 10 MEPs. What one has to ask oneself is would one want any of these useless articles EUkip has? With 12 MEPs EUkip achieved little beyond bad publicity and a sell out during the last 5 years – without gaining a single individual of gravitas or stature it is unlikely they will do other than emulate their previous abject failures. May I suggest before putting ANY trust in the serial litigant Marta Andreasen that you study a little more of this self interested foreigner who laterly pretends to concern for Britain and British values and although pro EU for many years has now slid from reformist to opposition , seemingly for the sake of a place on The Gravy Train. EUkip & TheBNP from Dr. Eric EDMOND’S BLOG with COMMENTS! How well Nigel Farage exploited the media establishment’s hatred of the BNP for UKIP’s benefit in the recent Euro elections. The media ran the UKIP campaign for him! Despite this and lack of funds the BNP still gained two MEPs. Since then as GLW points out in his blog, the treatment of these elected representatives has been deplorable. GLW and I both detest racism but we do support civilised standards of behaviour and debate. The way to defeat the BNP is to rebut their racist arguments not ignore them. Ignoring them or physically attacking them makes them martyrs. 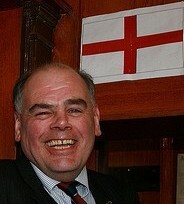 The BNP represent in part the poor indigenous population that used to be represented by the old Labour party. New Labour is little more than a collection of special interest groups and has disconnected from ordinary working people. This lets the BNP thrive. Don’t blame the BNP the fault lies with the political elite of New Labour and the Lib Dems. I think it would be safe to say that during the last year no one outside of The BNP heirarchy did more to promote and advertise The BNP than EUkip, and particularly Nigel Farage, who has acted as an energetic recruiting sargeant for The BNP. Farage was joined latterly by the utterly untrustworthy mutually congratulatory sychophants Mark Croucher & Douglas Denny they have between them ensured that The BNP has remained on the lips of all in the debate. Croucher & Denny particularly have chanted Mantras of hatred but have at no time confronted The BNP other than Croucher’s efforts at self enrichment & fund raising for the pro EU extremist and vile Searchlight group, led by Croucher’s associate in betrayal of EUkip the criminal front man for Searchlight, with his criminal record of burglary, either to plant evidence or steal it one can not reasonably tell. Farage in desparation as he headed for an earned 0 to 3 MEPs, based on EUkip’s achievement and his crass leadership, devised a ‘Reichstag Fire‘ moment and his own ‘Crystal Nacht‘ inventing claims of infiltration – who could be bothered he had so clearly destroyed the party! These individuals became the focus of the centralisation of control for Farage’s personal gain. This rapidly led to the resignation from his clique of dishonest supporters by Professor Tim Condon, Sir Richard Body, Roger Knapman and a further group of individuals disgusted at Farage’s self serving corruption and dishonesty. Long though it was in coming it was at this point thaty UKIP died, strangled by the self interest of a corrupt and venal claque of liars seeking self enrichment. Without exception there is not an MEP of integrity or callibre in EUkip as without exception they either colluded in this shamefull behaviour or deliberately turned a blind eye for personal gain. This foolish jape on a par with blow up toys, dressing up as chickens and pretending Ferrett Scout Cars from a museum were tanks – displayed the gravitas and wisdom of his political accumen and that of his advisors! Of course his advisers, being paid praise singers, were hardly likely to tell him the truth and risk their over paid positions. A fool is unlikely to employ people of morality and intelligence! Having made many aware of the vagieries and visicitudes of the vile EU the rascals, liars & low lifes gathered around Farage, having shown their ineptitude for intelligent hard work and their utter failure over the preceding 5 years as usefull idiots for the EU – did indeed recruit new postulants! Many of those woken to awareness of Racism, as displayed by EUkip, and reading material by the likes of Denny, McGough, Croucher and the like or videos of NuttAll, Nattrass and Booth and their like or reading of the criminal collusion in cover-ups by Farage, Colman and Wood or the imature and tasteless bragging of perversion by Gawain Towler moved on to pastures new. EUkip did much to raise the profile of The BNP and increase their recruitment, as the BNP put together a far more competent campaign, though with a fraction of the money, whilst EUkip was left trailing and even copying The BNP campaign with the obscene hijacking of Winston Churchill common to them both. One is minded of Farage’s political mantra of ‘you can’t put a cigarrette paper between them’ and to the uninformed, who are unaware of just how vile The BNP are, how very true that is! EUkip’s eventual results owe absolutely nothing to their campaign of dishonesty nor the scum that has risen to the top in their particular septic tank. They may well have retained 3 MEPs from the tribal vote that remained, but they GIFTED two seats to The BNP and gained their own 10 seats on the back of protest against the 2.1/2 grown up parties and the fear of a Right Wing BNP backlash brought on by the fascist behaviour of the UAF, Searchlight and even in some instances EUkip. Now it seems all that EUkip are able to do is run away from The BNP, as did EUkip’s new MEP placement by Farage, in Manchester. Nothing has made EUkip more clearly appear as The BNP in blazers than their founder Alan Sked and the emmulation of the BNP’s methods and look by Farage, Croucher, NuttAll, Reeve, McGough and their ilk. Few are convinced of a man’s colour blind credentials when he must endlessly enumerate his Black & Asian candidates or use colour as a token! It sounds just the same as the weasle words of The BNP. The entire platform is of course undermined by EUkip’s treatment of Del Young at NEC meetings – patronisating tokenism or what! We know that EUkip will lie to keep their snouts in the troughs on the EU Gravy Train, we also know that they proved an invaluable recruiting sargeant for The BNP and not only do they associate with the pro EU Searchlight but also say as pro EU in The EU Parliament with The Ind.Dem.Group which Farage chaired. It is also noted that Derek Clark was returned, albeit with a 50% drop in the vote in his constituency, when it was he who signed, for his puppet master Farage, that Britain should be subject to GREATER subsidiarity to the EU. Is EUkip colour blind, tollerant of all religious beliefs AND opposed to membership of The EU or just up for the ‘gravy’? EUkip MEP & Chairman Paul NUTTALL SHOWS HIS COLOURS & FOLLOWS FASCISTS TO THE GUTTER! Paul Nuttall who Nigel Farage parachuted in as his puppet chairman for EUkip and in a disgracefull act of abuse of democracy colluded with to remove the democratically elected MEP candidate Gregg Beaman just to pay off Nuttall and ensure that he, Farage, had another pliant and useless puppet in The EU, he has now shown his true colours. On Sunday Nuttall in a childish display of student style politics emmulated the vile organisations like The UAF & Searchlight – extremist organisations that are not only pro EU but espouse violence and intimidation on a fascist/BNP style level. We already know EUkip have much in common with these extremist organisations even authorising their senior staff to exchange information with them and boast that they seek to fund raise for them. Now we have this ill mannered ill educated scally Nuttall dragging EUkip’s name closer to the gutter from which he clearly came and refuses to leave. In a display of childish bully boy ignorance, which we have seen from him on numerous times before, this ghastly little oik, inan overt and cowardly denial of democracy, showing off like a sheep followed others off the stage at Manchester as the returning officer handed the floor to the democratically elected BNP MEP. I doubt ANYONE reading this has, with such resolute and outspoken actions over as many years, confronted racism as I have. I have been an implacable opponent of racism and defender of peoples right to their chosen beliefs and superstitions. I have given no quarter to BNP, White Supremacists, BfSS, The Dutch Reformed Church, National Front and other organisations. My first realisation of ‘race’ was at bayonnet point in 1950. I faced police fire in the SOuth WEst TOwnships. I am implacably opposed to racism whether white on black, tribal or cultural. Unlike many of the Colnel Blimps and Gutter Die Hards who oppose The BNP I have not just postured on the issue but have confronted it. No gain against petty hatreds will ever be achieved by running away from it in measures of Fascist style bully boy student walk outs any more than will the fascist style egg throwing. No single organisation has done more to recruit for the BNP than EUkip’s leadership with their inept and childish posturing and pretence of infiltration leading to raising The BNP profile and ensuring they are mentioned again and again – then permitting the liar and low life Croucher to openly work with vile extremists and using BNP/Fascist style vote rigging, bullying and smear tactics – it really is quite hard at times to know who holds the moral low ground EUkip, Searchlight, EUkip or The UAF. If you do not respect democracy sufficiently to stand your ground and politely on an informed basis debunk such vile concepts as The BNP on a democratic basis – go back to the gutter you deserve, along with the knuckle draggers and bully boys of The BNP, whom you so closely emmulate. Having obtained the votes of approximately 5.1/2% of the electorate EUkip should have the confidence if not the intellectual understanding of duty to uphold Democracy and have the training and competence to debate and defeat as vile a concept as The BNP but clearly although The BNP only gained about 2% of the electorates votes they hold the high ground whilst EUkip sits in its gutter ya booing and showing just how useless they are – so nothing has changed. EUkip achieved the square root of rock all in the last 5 years and were heading for their natural vote with 0 to 3 MEPs (well look at the calibre of candidate and the track racord of failures) – then one of the most corrupt groups of MEPs in Britain was rewarded by the petty but widespread publicity given to Westminster MPs. It is astonishing how often the corrupt and the dishonest are rewarded by the foolish actions of others. Even so EUkip can only see their result as pure luck staving off a catastrophy and even in the face of an outright rout of Labour EUkip only managed to get about 10 MEPs over their natural 2 or 3 and only increased their vote by 0.30%. At the moment they have 13 MEPs and we are all wondering just how long that will last as Farage has made it clear he lacks the leadership ability to manage a team. Nuttall and Bannerman are already whispering together a team each to challenge the leadership. Dartmouth will not put up with Farage’s antics for long and will either side with The Desk for the apparent reasons or will conjoin with a Tory Grouping. Andreasen is utterly untrustworthy and for all his desparation trying to promote her Farage is barely holding onto her coat tails as she ploughs her own furrow – she will stay for as long as she can USE Farage and no longer. Farage has lost his power base as the Ind.Dim.Group has gone and whatever re-emerges they are unlikely to choose a clown for a leader and Farage has no vision, no understanding of tactics or strategy and is an appauling judge of character with all the leadership skills of a barrow boy! Then we have Trevor Colman – little more than a bent copper (rtd.) on the make and the take. Colman has shown his true colours in his collusion in the crimes for which Tom Wise has been arrested and charged and there is no doubt he knew Wise was guilty and believed Jenkins was also. This grubby little man colluded in a cover-up for which it is apparent he has been handsomely rewarded. Farage can not trust him but he is probably too self interested to act ethically, based on his track record top date. However it maps out do not expect value for money for the near £100 Million these useless articles will cost you over the next 5 years. Steve ALLISON WALKS OUT ON EUkip! How very apt that our photo is of Steve loitering outside of the toilets! It does rather look like Steve Allison has flushed EUkip down the Toilet at an early stage! In a terse note Steve Allison has QUIT. Steve has resigned as Regional Organiser and Election Campaigns Organiser for EUkip. Since the RO position has tended to carry a salary of between £30 & 50K the stated claim that ‘He wants to spend more time with his family’ looks all too like ‘The Chiltern Hundreds’ to me! Treatment of Steve Alloison has been overty bad within EUkip for quite some time now. It has been clear for some time that Steve has been deeply unimpressed with the parachuting in of the liar Bannerman’s ‘chum’ Ken Irvine (another Tory reject obtaining an obscenely over paid contract). It had been planned that Steve would run the campaign but he was unceremoniously shoved aside and Irvine was contracted at a ludicrous cost and the very best he could achieve was to copy The BNP policy of promoting the efforts of Churchill & the war! A sickenning comparison when you look at the BNP style trash EUkip put forward and the corrupt an useless standard of their candidates. Clearly lack of competent leadership and trying to promote EUkip by dealing in lies and dishonest claims, whether with extremist liars like Mark Croucher who has dragged the party name into the gutter where he lives with such vile organisations as the pro EU Searchlight or the lies of Farage to the media, that are so provably lies – Steve is fundamentally not as revolting as those who were his paymasters and had a rather better understanding of how to behave and has departed. So the first signs of the wheels falling off this vile little party are starting – it is not usually very long before theives fall out. I wonder how long it will be before the new claque have worked out ways to pay their wives, milk the perks and stuff both their bank accounts and their pension funds with tax payers’ money. I understand that MEPs who have been re-elected are able to go on paying their wives but the new ones will need another way to achieve the same scams! Having elected 12 MEPs in 2004 one wonders if EUkip members and the electorate feel they received any kind of value for money for the £78,000,000 they cost the tax payer – DO YOU believe that £78,000,000 spent in other directions would have achieved more to get Britain OUT of the EU? Consider the FACT that after just one term as an MEP Tom Wise’s pension fund is standing at £240,000 I understand and as the media has shown he has had the opportunity to trouser about £1,000,000 CLEAR. Even that Dullard Graham Booth will receive a pension that makes ALL his recorded donations to EUkip pale into insignificance. Do YOU believe a single solitary EUkip MEP or employee was value for money? They have 13 at the troughs this time – I wonder which will be the first to jump ship as without exception there is not one it would be wise to trust. In a desparate attempt to close down discusion of this on what was EUkip Forum owned by Anthony Butcher, who assists EUkip when told to – Douglas Denny in an attempt at rather childish ‘barrel scrapinr’ of a playground standard made something of a fool of himself yet again. It is correct that Steve’s wife is undergoing a big operation and will spend some months recovering. However I think it is perfectly legitimate to question whether this is sufficient to require Steve Allison to resign his posts as NE regional organizer and election coordinator. I mean couldn’t he just take a temporary leave of absence? Presumably Nigel could have refused to accept his resignation and allow him a sabbatical while he cares for his wife. Steve has been treated pretty badly this past year – pushed aside for Ken Irvine for the Euro campaign (and to add insult to injury I understand that Irvine was paid a huge sum of money for his services). It was pretty obvious from his speech at last September’s conference that Steve was out of step with the leadership. Steve has always advocated building from the bottom up – fighting elections at local level to get representation on local councils as a stepping stone to Westminster. After years of service to the party, and his demonstrated success in Hartlepool, the fact that no steps have been taken suggests that his advice isn’t wanted. We had been well aware of the operation Sandra was scheduled to have when we first broke the news in the article but felt that since Steve had not published the details of Sandra’s op. in the public domain it was not responsible of us to publish it. However I note that EUkip has no such scrouples! Ever willing to use a woman as a vehicle or an excuse, as ever! It is also clear that Steve as a Northern grammar school chap has been treated as something of an outsider by the Southern pretend Public School wannabes of the leadership claque, who from their minor private schools have been all too ready to use & abuse when it suited them. One must applaud Steve’s loyalty however misguided in that he could so easily have done a ‘Hazel Blears’ hissy fit on the eve of the election and who could have blamed him but he even went so far as to delay Sandra’s op. so as to make his announcement AFTER the election. Whatever your knowledge, or lack, of this matter there is really only one thing to say at this stage. We wish Sandra & Steve good luck and hope Sandra will make a rapid recovery to rude good health rapidly. WE ALL HAVE A DUTY TO DEMOCRACY THERE IS NO PLACE FOR THOSE WHO SEEK TO DESTROY IT! whatever one’s political persuasions it is essential that we ALL uphold democracy and not emulate the yobs who aim to undermine democracy. I am disgusted by pretend politicians who lack the wisdom, substance or conviction and feel they can not maturely address the vile beliefs of The BNP – there is no action in a democracy more revolting than refusing to engage with the views of an elected representative – I can understand those who feel their opinions are too close to the views of The BNP or can make no clear argument fearing they will be exposed by association in debate on a public platform. There is absolutely no excuse for gutter politics – least of all by elected politicians who run away – that way grants the vile BNP yet another victory. I listened to The PM programme on BBC Radio 4, on which a representative of the scum who took it upon themselves to engage in abuse of d3emocracy by attacking the elected BNP leader. Democracy shows Ms. Kavanagh and those with her are at fault not Griffin of The BNP however odious his beliefs and policies. Griffin’s election shames only the 2% who voted for him Ms. Kavanagh, The anti Fascis mob, Searchlight, the police and their ilk shame us all by their overt or covert attack on democracy that we did NOTHING to prevent. strenuously and actively as I have denounced and exposed the vile aspects of The BNP & its revolting antecedence in Racism & anti Judaism and their refusal to denounce their roots and associations with the vile American White Supremacist organisation who have, for entertainment, ritually killed, mostly by lynching, some 4-5,000, mostly young men, just because they are black or coloured. The BNP are both vile & duplicitous, but at least they SEEK to practice their evil craft by democratic means. Such extremist organisations as Searchlight give greater credence to The BNP as Searchlight with its dishonest supporters and corrupt practices do as much damage to our democracy as the baying yobs of so called anti fascist leagues. It is infact The Conservatives, The Labour Party, LibDims, Unions, Fabians, Common Purpose and their fellow travellers of The New World Order who are destroying our democracy and refusing to represent either the wishes or the best interests of these United Kingdoms and our peoples and NOT The BNP I am ashamed to say. I welcome the fact that the BNP now has elected representatives as it gives the decent peoples of Britain the opportunity to debate with them and expose just how vile they are – they have grown in the atmosphere of half truths that such as Searchlight has kept them in – they have grown and seeded just like dry rot in an old building, exploiting every patch of opportunity. People should not be so imature and scared as to run away from The BNP or rely on gutter tactics of egging and chanting – stand your ground calmly and rationally and expose the BNP for what it is. Let us face it Nigel Farage and EUkip have much to answer for in acting as recruiting sargeants for The BNP by making foolish claims of infiltration and mentioning The BNP in every sentence, seemingly to desparately distance the racists in their midsts from The BNP – or so it seems. The way to lead is not by lies and mantras but by confronting the enemy calmly, rationally and politely with facts, figures and the truth. Would that EUkip, Searchlight and their fellow travellers would learn this lesson rather than inculcate panic. Do not forget that The BNP in an electorate of over 40 Million was able only to gain 2% support and also note the harm hysteria, bullying and lies did EUkip who in the face of a Labour melt down only managed to increase their vote by 0.3%. There is a place for the BNP in British politics as they provide the perfect opportunity to expose Racism, Nationalism, anti Judaism, anti Islamism and the other vile concepts they so clearly espouse and a chance to show the values of hospitality, integration, shelter, tollerance and Patriotism. Democracy will win, as long as we can prevent its destruction by The EU and their supporters in The Lib.Lab.Con and odious organisations like Searchlight, The Fabians & Common Purpose who seek tocentralise and control in a society where democracy is denied – we saw a small example of that today on College Green. Mr. Griffin speaks for a tiny percentage of the enfranchised voters of these United Kingdoms – those who by due process in the democratic process elected him – you may believe that misguided or ill informed, but the oxygen of publicity will soon corrode the support as people realise just what around 2% of our peoples voted for. Nothing will do greater harm to the BNP than having elected representatives, and the duties that makes them liable for – duties which make them open to many more laws against discrimination than they were exposed to as a private self funded organisation – now they must account for public money and public duties. Ms. Kavanagh represents NO ONE in the democratic process, she has not a vote to support her – merely the baying claque that has done such damage to democracy in its strident abuse of the freedoms given to her BY democracy. As yet we have not adopted the Continental policy of water cannons, nor openly armed police shooting protesters, but considering Mr. Brown’s corrupt Political Police Enforcers were happy to beat up peaceful protesters at The G20 Summit, have a shoot to kill policy of murdering suspects, viz. Menenez & 30 others ( CLICK HERE ) and arrest women for reading out a list of victims of The Government policy of war crimes in Iraq – where were the police today? Where were the Police, who should have upheld democracy and arrested the chanting violent scum with Ms. Kavanagh. People like the extremist Searchlight who work to undermine democracy by lies and intimidation. The message of The BNP revolts me, but so also do those who seek to destroy democracy like The Anti Fascist league, Searchlight & the Ms. Kavanaghs – the BNP trash are no risk but they deffinitely are, as it is they who seek to dictate policy and destroy democracy. Just as EUkip will cheat and lie to silence their critics and those who seek probity and transparency in politics which threatens their route to the troughs on the gravy train. Perhaps you would care to add your comment on The BBC PM Blog. Fair play to the interviewer who had the misfortune of interviewing Ms. Kavanagh, he made it very clear her action tas wrong, damaging and anti democratic. May I for once clearly state my praise for the interviewer – far better than the vile attack on democracy by Ms. Kavanagh and her odious associates; far better than the Police who totally failed in their duty to uphold democracy and protect our elected representatives and FAR better than the biased and unprofesional interview of The BNP’s elected representative by John Humphries on the Toady programme on Monday.